Sony has today announced the games that will be available to PlayStation Plus members for free during April 2017 revealing that arena shooter Drawn to Death and couch co-op game Lover in a Dangerous Spacetime will lead next month’s lineup of titles available for free. Check out the video below to learn more about the two games and what you can expect from the titles but will be available with Invizimals: the Lost Kingdom and Alien Rage Extended Edition on PS3. We couldn’t contain our excitement for Drawn To Death, so we let the news out early that this will be a launch title for PS Plus in April. 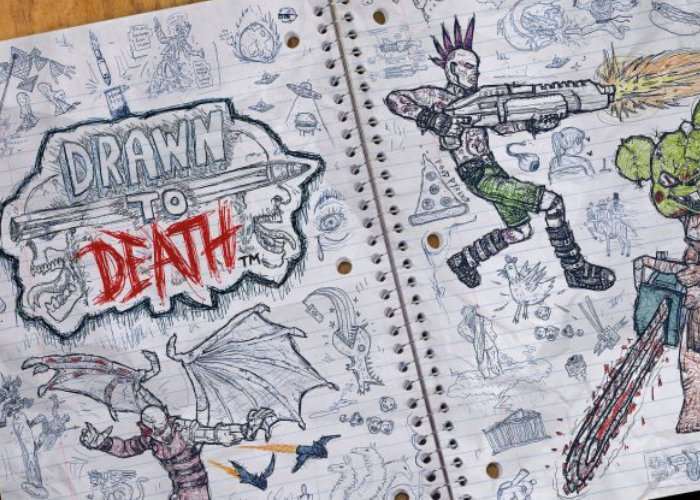 From the acclaimed developer David Jaffe, Drawn To Death challenges the shooter genre with unconventional gameplay mechanics that bring this third-person shooter/brawler to life. The game takes place entirely inside the pages of a high school kid’s notebook where hand-drawn characters and levels come to life. We’ve also got the excellent couch co-op title Lovers in a Dangerous Spacetime. Pilot a neon battleship through a colorful galaxy by yourself or with up to three others. Through teamwork, triumph over the evil forces of Anti-Love, rescue kidnapped space-bunnies, and avoid a vacuumy demise. Protip: you can also play this game online with others through PS4’s Share Play feature.